Follow your creativity and make art that goes beyond coloring to utilize cutting and folding to create 2-D and 3-D art, popup cards, toys, puppets, games and more! 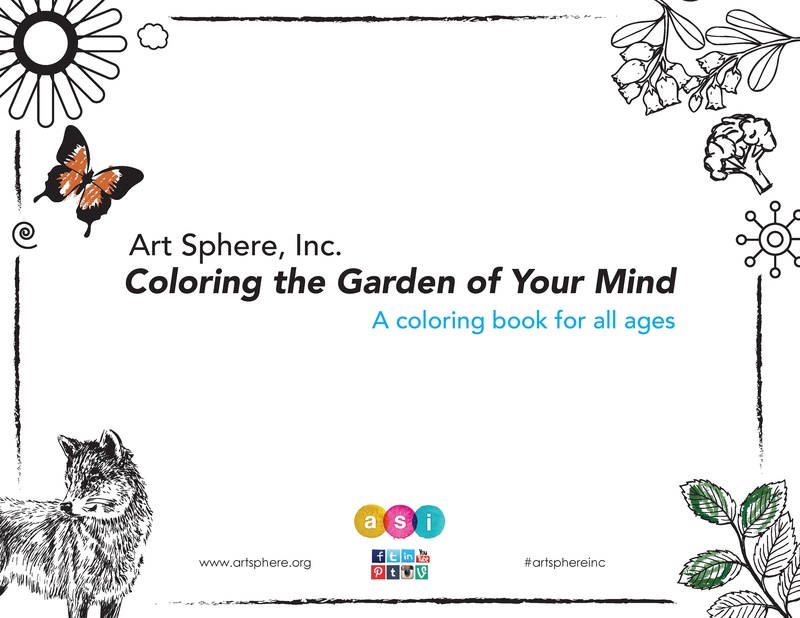 We are pleased to present Art Sphere Inc.’s (ASI) s first coloring book where we explore the themes of art, nature, and wellness available here: ASI Free Downloadable Coloring Book for Kids! Use the pages from this book to grow your own garden of creativity by transforming the pages of this book into art. Through these creative exercises, you can explore the mind, body and spirit connection. Art can be a tool to live intentionally, share mindfulness and even promote living well through coloring, cutting and creating. ASI has always been concerned about the lack of access to and cutbacks in funding for the cultural arts in inner cities. In response, in 2014, through a grant from the John S. and James L. Knight Foundation, we developed a book of free art lesson plans, “Creating Legacies through Art,” for teachers, parents and young artists everywhere to stimulate and inspire creative thinking (http://artsphere.org/creating-legacies-through-art/). 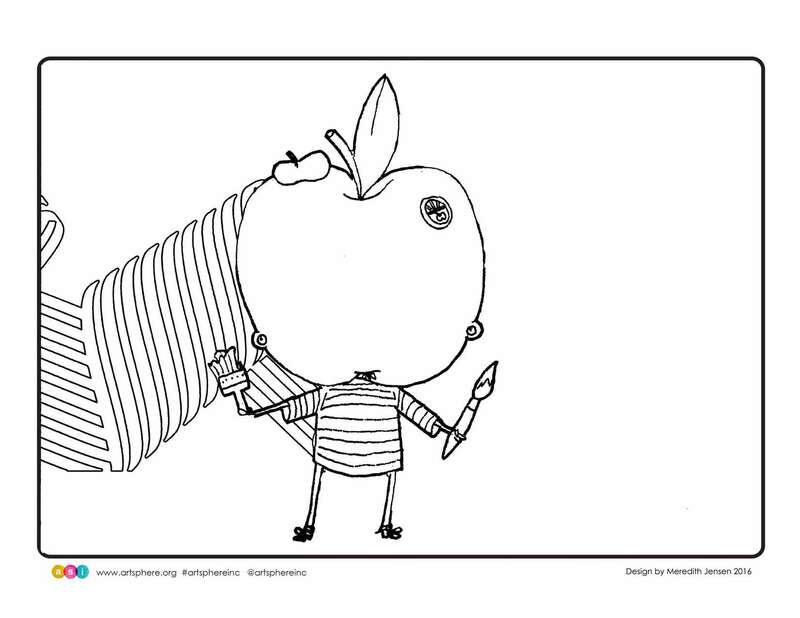 This coloring book builds on our first book by taking our art projects to the next level. It is a collaborative work of local artists, designers, teachers and drawing enthusiasts. The proceeds of the book sales will be used to support ASI’s free art education classes for inner-city youth. The projects in this book, which have been tested in Art Sphere workshops and in schools, at public events and with diverse audiences, are designed to be easy enough for a parent or a teacher with no art training to teach to others. Printed lesson plans and other creative ideas are supplemented by a database on ASI’s website (www.artsphere.org) that can be downloaded by teachers and families. All the projects can be completed in an hour or less and are intended for children from preschool to 6th grade – though we have found artists of all ages also find these activities to be relaxing and rewarding. Not everyone learns the same way. Some people are more visual, some more musical, some more mathematical. Our coloring sheets give viewers an opportunity to make art in more than one way and also to incorporate ideas such as compassion, respect for nature, healthy eating, cooperation, and other ideas for living in a way that contributes to a civil society. By pointing out the different ways that a project can be approached, parents and teachers can guide their children to their individual paths to artistic success and ways to express their unique creative voices. May you harvest all the fruits of your creative efforts and gain the good fortune of living a more inspired life!